The below steps will walk you through adding HappyFox as a Safe Sender on your Office 365 (Microsoft Exchange) instance. This will help ensure your emails are delivered without any delays. 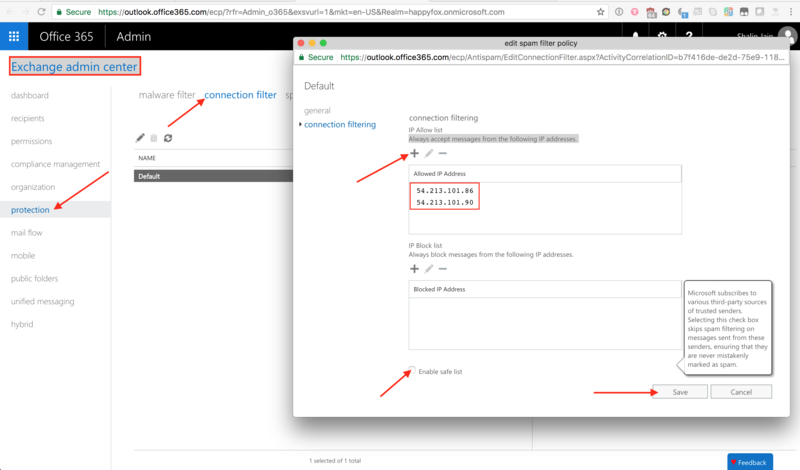 Step 1: Log on to your Office365 (Microsoft Exchange) instance, then head on over to the Exchange Admin Center >> Protection >> Connection Filter. Step 3: Click the check box next to "Enable safe list", and then click Save to confirm your settings.